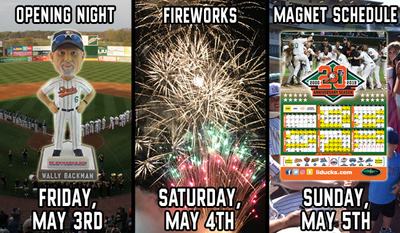 OPENING WEEKEND AT BETHPAGE BALLPARK - MAY 3-5! The Long Island Ducks begin their first homestand of the 20th Anniversary Season on Friday, May 3, when the Ducks open a three-game series against the York Revolution. LIVE THE SUITE LIFE THIS SEASON!